I know it has been a great while since I have posted. 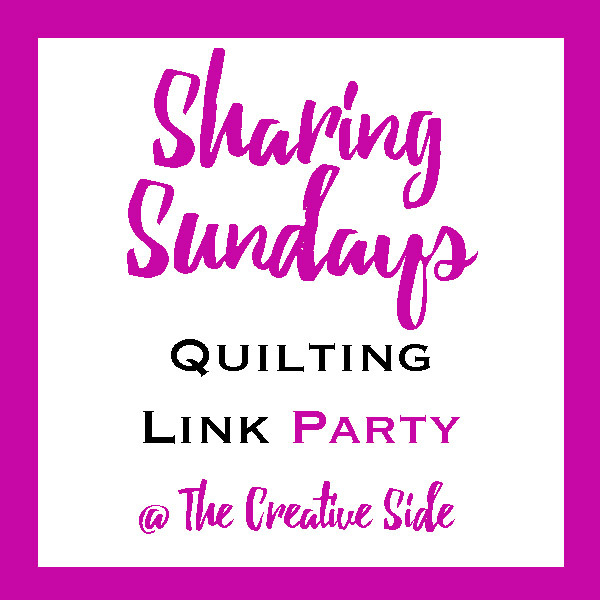 This blog is about quilting and I just haven't done anything quilt related. 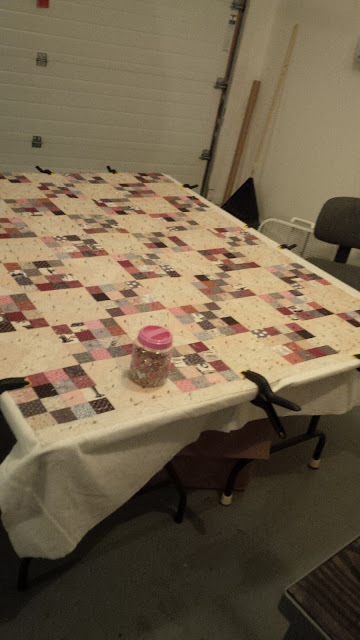 Oh I guess I did sell some quilt books and fabrics at my garage sale but that didn't seem very interesting, I have finally pinned a quilt and have it ready for quilting. Hopefully will get to it soon. I am making a back for the plus quilt but I thought I would quilt this one first for some practice before I start on the plus quilt. I saw some beautiful quilting on a blog called Quilts of a Feather She did some really cool paisley designs and I would so love to learn how to sew that design. I have always been a fan of paisley. Will have to see if I can learn that and use it on this quilt. 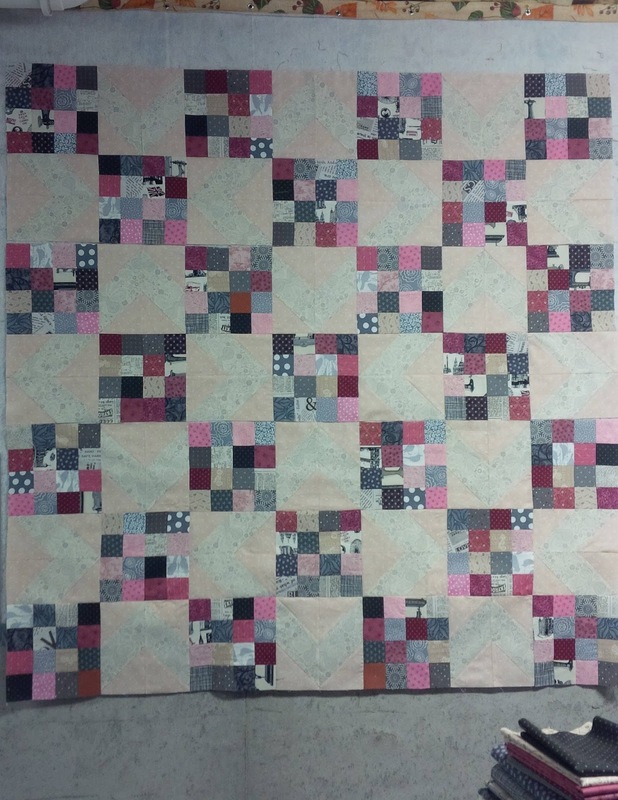 I have one picture of it on the design wall and another on the table all pinned and ready to quilt. This pattern was from a tutorial by Jenny Doan of Missouri Star Quilt Company The contrast on my background square if very subtle. It does look better in person than in the pictures.